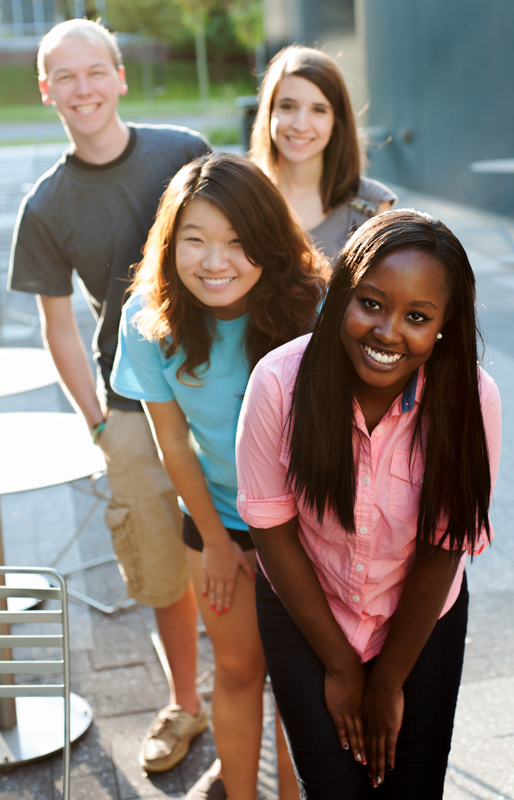 MIF offers a variety of short-term homestay options to fit your individual and group needs! Customized Program - build your own program! 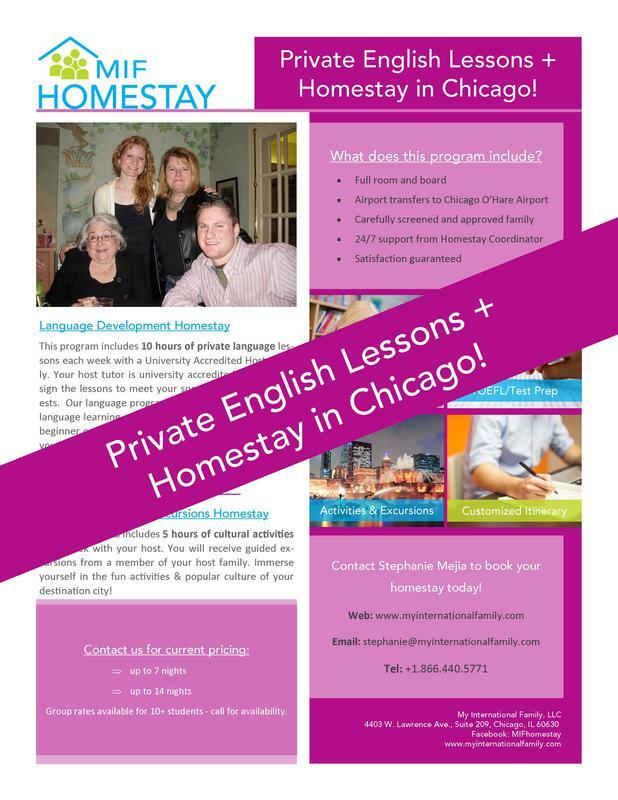 ​All options provide ample opportunity to practice English and experience the American culture with your host family! What Does Each Program Feature? ​What better way to experience a culture than with your very own local guide? Immerse yourself in your destination by exploring the history and culture of your host country. In this program you will live in a wonderful homestay and receive guided cultural activities from a member of your host family. Your host family will create these tours around your specific interests, so you may choose to visit museums, art galleries, food festivals, local exhibits, music events or any other cultural event hosted by the local area. 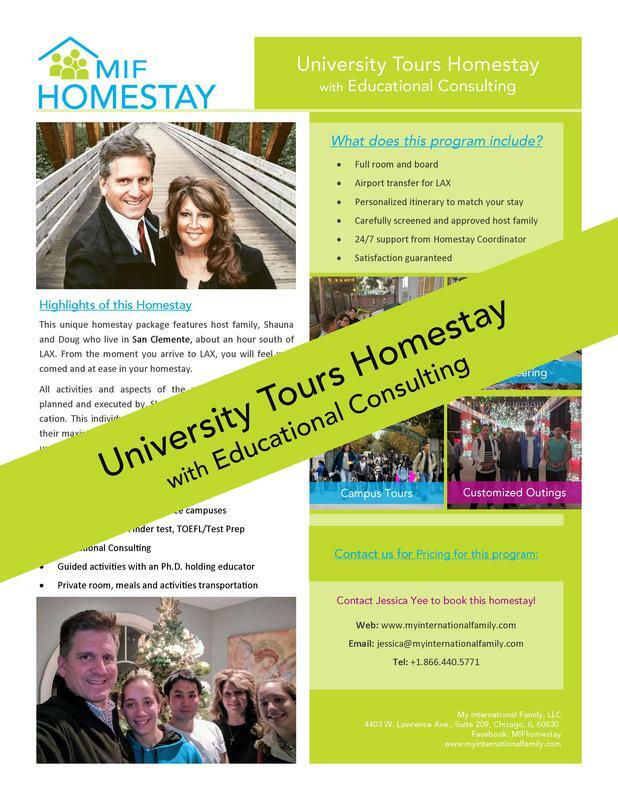 Special focus offered in: Farmstays, Disney, Hawaii-stay, Campus and University Tours, NY Tours and Beach-stay. Language development is our most comprehensive language learning course. Whether you are a beginner or advanced in the language of your choice, this course will help you strengthen your listening, speaking, and grammar skills through formal instruction in a total immersion setting. IN this program you will live in a wonderful homestay and receive one-on-one language lessons from a member of your host family. Your tutor is university accredited and will design the lessons to meet your specific needs and interests. Simply let us know the areas of focus you want to study and leave the rest to your tutor! ​Special focus offered in: Business Language, Virtual Lessons, Conversational English and TOEFL/SAT prep and testing. If you don't see what you're looking for, MIF can also create a custom homestay experience tailored to your individual or group needs. Please don't hesitate to reach out to one of our homestay coordinators to find out what is available. Contact a Homestay Coordinator Now!